I love giving club talks, and I love planning campaigners studies. Here are some resources to share with other leaders looking for content. Club talks are very individual and should be based on our own stories, and the people and events that fill us with passion. There is never a reason to simply use someone else’s club talks, but rather, my hope is that these talks would give you ideas, inspiration, or encouragement when needed. Intro to Young Life, Spring 2014: Young Life isn’t about an organization, it’s about relationships. I didn’t come back to Young Life every week because I loved the games, I came back because of my friendship with my leader. Person of Christ, Fall 2014: John 4:1-30, the woman at the well. This Samaritan woman had been with 6 men, and none of them fulfilled her. I dated a lot of boys in high school, but they never fulfilled me. Jesus offers us living water, true life. Jesus is the only one who can ever truly fulfill us. He gives us real life. **note: as I have given more club talks, I have become more and more comfortable with giving them, and my notes have become less extensive. This talk is not as thoroughly written out as the other talks provided her. Cross Talk, Fall 2013: God made the ultimate sacrifice for us when He sent His Son to the cross to die for our sins. I illustrated this story with the story of a little girl I used to nanny for, a little girl named Maris, who I would have done anything for. The idea of sending her to die is incomprehensible. I cannot fathom sending my child to die for a sinful people. Resurrection/Appropriation, Spring 2013: When Christ resurrected, three days after his crucifixion, He fulfilled the last prophecies that had been made, proving His divinity and ultimate authority. Our promise of Heaven is confirmed, and we will spend eternity with Him because his promises are true. I illustrated this story with the death of my grandfather, and the difference between a great and incredible man who stays dead, and the Son of God, who defeated death. Wild Grace, by Max Lucado. McCallum did a 4 week school wide campaigners study of this book, and it is one of my absolute favorites. Lucado dives into the idea of radical grace, and what that means for our lives. He pairs discussions of Jesus and the Biblical grace he offers us, with real life stories of individuals who have experienced incredible grace in their lives. I sat down to read this book, and devoured the whole thing within a day. It’s an easy, addiction, transforming read. I would recommend it to any Young Life leader, or any believer, for that matter. Here is a basic overview of the 4 week study we did, and the lesson for week one. A few of my girls and I did a study of this book Spring of their freshmen year of high school. This isn’t a book that most high school freshmen would be ready for, but these few were, and they loved it. 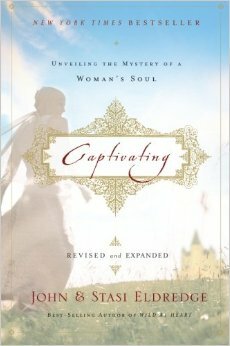 Captivating explores the heart of a woman- what it is that makes us women, and how God has created us, and the beauty of the desires He has given us. Stasi illustrates the image of how beautiful and loved we are by Christ- He is passionately in love with us, and chases after us like no one else ever can. We are perfectly loved by our Creator. This book can be a game changer for women of any age. I read it in high school and loved it, read it again with my girls, and will go back to it time and time again. I would recommend it for any woman, and for any small group/campaigners group ready and wanting to root their identities in Christ. Two other leaders and I went through this study with all of our girls fall of their sophomore year. I got the basic outline for this study from Todd Pinkston, and added more questions and adapted it to our schedule/the needs of our girls. I’ve used bits and pieces of it a few other times on Wilderness trips. What I love about this study is that it makes the character of Peter come alive, and through him, we can learn so much about Jesus. Jesus called Peter his best friend, and you can learn so much about a person through the way he treats his best friend. This study was a success, and by the end of the semester, girls were saying things like “oh my gosh, that’s so something Peter would do.” I loved it. I picked this book up at the camp store at Crooked Creek this past summer. I haven’t gone through it with high school students yet, but I think it would be a valuable and successful study. 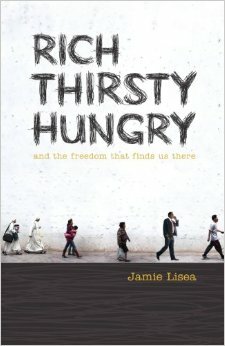 Lisea takes three encounters with Jesus from the Bible- the rich old ruler, the woman at the well, and the prodigal son, and writes them into everyday places and language. The setting and characters are changed, but the story line is the same, and readers are left in awe of the encounters these individuals had with Jesus. This book is one of my absolute favorites. Timothy Keller takes you through the book of Mark, expanding on certain stories. The character of Jesus comes alive, practically jumping out of the pages. I love the way Keller has beautifully crafted this book; every word makes me fall more in love with Jesus. I haven’t gotten to do a campaigners study with this book yet, but my dream is to walk through this with my girls for their senior year of high school. Keller is releasing a study guide for Jesus the King on February 23rd, and I can’t wait to get my hands on it. You can pre-order the study here. This chart is a great starting point for kids who are ready to start reading the Bible. Just cross out the chapter after it’s read! This 18 page booklet is really just a compilation of my notes. After my first summer guiding at Wilderness, I realized that I was not as well acquainted with scripture as I wanted to be. I spent the Spring semester of 2014 going through the New Testament and recording all of my notes, thoughts, and inspirations, in hopes that it would make me a better guide and minister of the Gospel. No finishing touches were put into this booklet- it’s an organized mess of my notes, which I printed and carried with me all summer. More helpful than the actual book, though, was the act of making it. My hope is that this book would help other guides and Young Life leaders alike, but I also encourage any leaders and guides to go through this process of reading and compiling notes for themselves, as that was the most powerful tool for me.